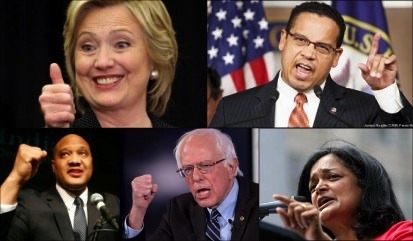 The top 5 recipients of Islamist contributions, clockwise from top left: Hillary Clinton, Rep. Keith Ellison (D-MA), Rep. Andre Carson (D-IN), Sen. Bernie Sanders (I-VT), and Pramila Jayapal (D-WA). PHILADELPHIA – Oct. 20, 2016 – The Middle East Forum's "Islamist Money in Politics" (IMIP) project has revealed the top ten recipients of 2015-16 campaign contributions from individuals who subscribe to the same Islamic supremacism as Khomeini, Bin Laden, and ISIS. Hillary Clinton tops the list, raking in $41,165 from prominent Islamists. This includes $19,249 from senior officials of the Council on American-Islamic Relations (CAIR), declared a terrorist organization by the United Arab Emirates on November 15, 2014. For example, Mrs. Clinton has accepted $3,900 from former CAIR vice-chairman Ahmad Al-Akhras, who has defended numerous Islamists in Ohio indicted – and later convicted – on terrorism charges. Among other current presidential candidates, Jill Stein has accepted $250. Donald Trump and Gary Johnson have not received any Islamist money. 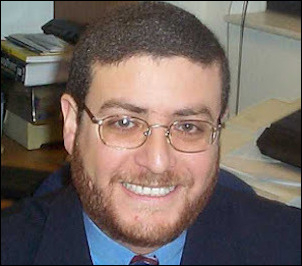 CAIR vice-chairman Ahmad Al-Akhras gave $3,900 to Hillary Clinton. Other top recent recipients of money from the enemy include Rep. Keith Ellison ($17,370) and Rep. Andre Carson ($13,225). The top ten list includes nine Democrats, one independent (Sen. Bernie Sanders accepted $9,285), and no Republicans. None of the above recipients has responded to IMIP's efforts to inform and warn them about the Islamist ties of these donors. Islamist Money in Politics shines a light on Islamist influence in U.S. politics by making public the campaign contributions of 1,356 leading figures in America's most important Islamist groups. To date, IMIP has documented 2,974 Islamist contributions worth $1.43 million.